SEATTLE – Today the Bullitt Center proved its status as the greenest commercial building in the world by becoming the first office building to earn Living Building certification, the most challenging benchmark of sustainability in the built environment. To earn the certification, the Bullitt Center demonstrated that it produces more electricity from solar panels on its roof than occupants use in a year. In addition, toxic chemicals were screened from all building materials and all wood was Forest Stewardship Council certified. Its occupants’ human waste is composted and rainwater is captured for all uses, including drinking. In 2014, the Bullitt Center produced 60 percent more energy from solar panels on its roof than it used, largely due to efficiencies that exceeded expectations, making it the most energy efficient office building in the United States and possibly in the world. The Bullitt Center was developed to show the current state-of-the-art in sustainable design, to influence development and operation of other buildings. “This project continues to generate interest from owners and project teams around the world,” said Chris Rogers, CEO of Point32, the developer and owner’s representative. “The Bullitt Center shows it’s possible to push the envelope and still deliver a steady stream of benefits for the owner, occupants and society for many years to come. Projects in 12 countries are registered in the Living Building Challenge and six other projects have been certified to date, including McGilvra Place Park, a public space immediately adjacent to the Bullitt Center. McGilvra Place is the first “Living Park” to meet the Landscape Typology requirements of the Challenge. 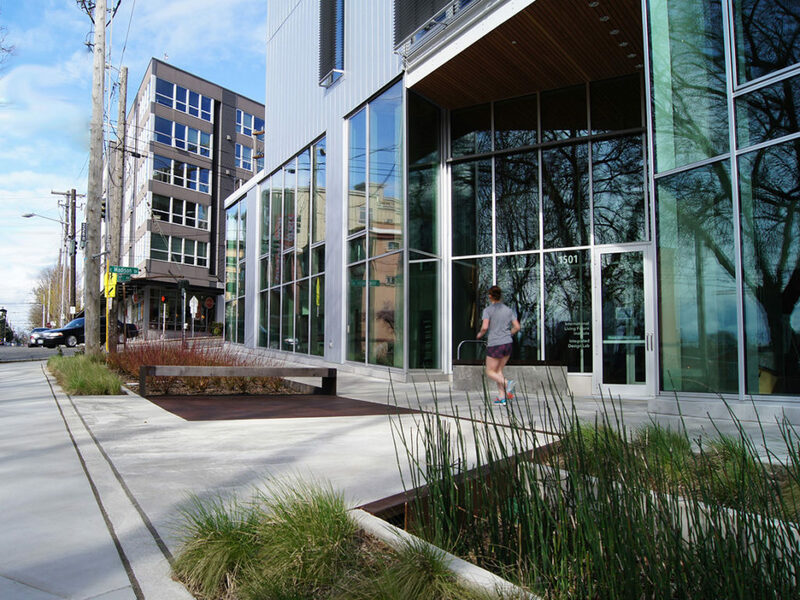 A 52,000 square-foot commercial building at the intersection of Capitol Hill and the Central Area in Seattle, the Bullitt Center is designed, built and operated to be the world’s greenest office building. Owned by the Bullitt Foundation, the building cost $32.5 million. As a market-rate, Class-A commercial office building, the Bullitt Center was developed to show what’s possible today and to demonstrate a path forward for other real estate development projects. Hundreds of architects, developers, engineers, public officials and students from across the world have visited the building to carry lessons home to their own work. For more information visit www.bullittcenter.org. International Living Future Institute is an environmental NGO committed to catalyzing the transformation toward communities that are socially just, culturally rich and ecologically restorative. Composed of leading green building experts and thought-leaders, the Institute is premised on the belief that providing a compelling vision for the future is a fundamental requirement for reconciling humanity’s relationship with the natural world. 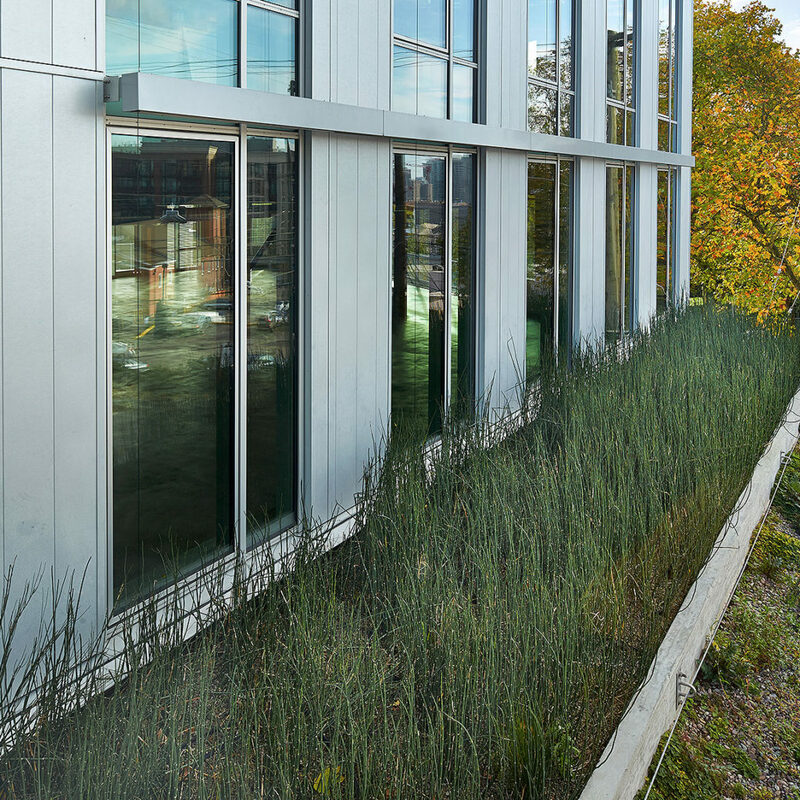 The Institute operates the Living Building Challenge, the world’s most rigorous building performance standard. The Challenge is a philosophy, an advocacy tool and a certification program. Launched in 2006, more than 250 projects (totaling over 9 million square feet of space) are currently registered for the Challenge. For more information visit www.living-future.org. For more information on the Bullitt Center, see this article from Trim Tab. To see Berger’s role on the project, led by Jonathan Morley and Rachael Meyer, see our website.